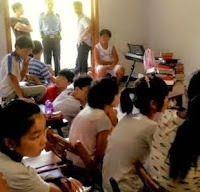 (Hangzhou, Zhejiang—July 21, 2017) As China clamps down on the freedoms of its state-run churches, officials in the country’s eastern Zhejiang province have recently issued orders aimed at closing Sunday schools and keeping children from Christian events over the summer months. This crackdown comes in the wake of a recent order from the Henan Provincial Three-Self Patriotic Committee and the Henan Provincial China Christian Council arbitrarily forbidding churches from organizing summer camps for minors and students, citing high temperatures as a possible health risk. A Christian from Henan said the government’s behavior is atypical, since such camps have been allowed in previous summers, and the government would originally only interfere if they received a tip-off about the event.